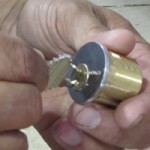 When it comes to Aurora locksmiths, FC Locksmith is the sensible choice. FC Locksmith offers residents and business owners in Aurora, Ontario, a first-class yet affordable locksmith service, a service that is available any time of day or night. This is by no means a definitive list. 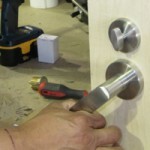 In fact, FC Locksmith provides a vast array of services covering the entire locksmith spectrum. Our services are generally separated into three categories: residential, commercial, and automotive. Occasionally, these services overlap, but we’re happy to help in any situation. Importantly, all of our services are available in emergency circumstances, for extra peace of mind. So, whenever you find yourself in need, we can have a locksmith with you rather quickly. Of course, not all locksmith jobs require the emergency treatment. Therefore, we offer a booking service which will allow you to choose a time that best suits you. For those who require automotive locksmith assistance, we can attend your vehicle in a location that suits you too. Wherever you’re based in Aurora, remember that FC Locksmith is here to help. Our telephone hotline is open 24/7 and we can have a locksmith with you in a matter of minutes, not hours!